Thank you to Clowns Without Borders USA board president David Rosenthal, and board member Tim Cunningham for their contributions to this blog! 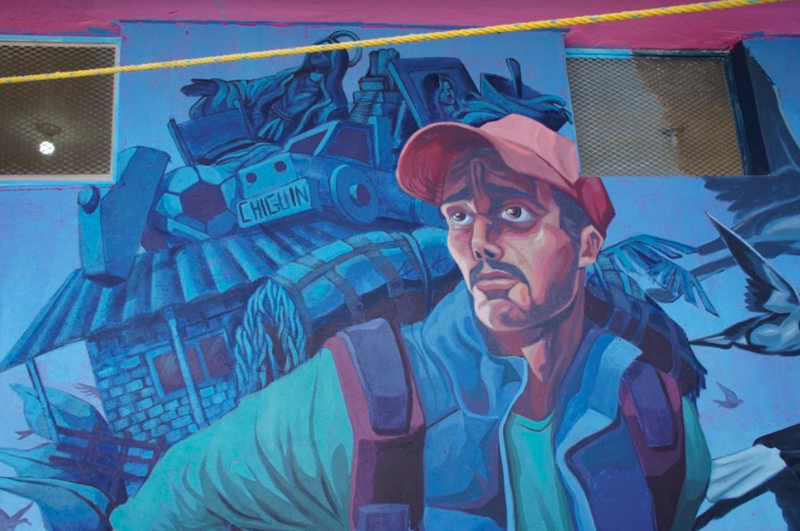 At this moment, CWB – USA artists are on tour in Mexico, traveling north with a caravan of migrants. Within the U.S. media, this caravan, and others like it, is met with a rhetoric of fear and xenophobia. Yet, as CWB clowns travel with migrants who seek asylum, safety and peace, they witness beauty and share joy. Migrants everywhere experience danger, violence and opportunists, and this is amplified in situations of resource scarcity. But when CWB artists put on their red nose and open their heart, they tend to encounter the best in others. Historically, caravans were nomadic communities of traders or pilgrims, who crossed large swaths of land, mostly in North African desserts and parts of Asia. The word evoked a sense of community, collectivity and planned migration from one place to the next. Caravans were also traveling circuses. Groups of artists arrived to share a few days of laughter with remote communities, and then moved on to the next town. The arrival of clowns and performers was one of joy—it brought eager anticipation. This tradition continues today. Ringing Brother’s and Barnum and Baileys’ circus travelled by train (actually, two) from 1907 – 2015. It’s fitting that CWB clowns travel with the migrant caravan—a new kind of caravan that has shifted in purpose to reflect recent history. Global stability is threatened by war, poverty and climate change, so asylum seekers, refugees and migrants form caravans. Instead of waiting for the traveling circus to come, or deciding to move when the time is right, migrants are forced to pick up and find a new, hopefully better, home. While our clowns perform for communities in protracted displacement, they also walk along streets, trails and dried river banks to be with migrant communities. Both the clowns and the migrants bring only what they can carry. And when the clowns stop to perform, a spontaneous group forms around them, sharing laughter and joy. 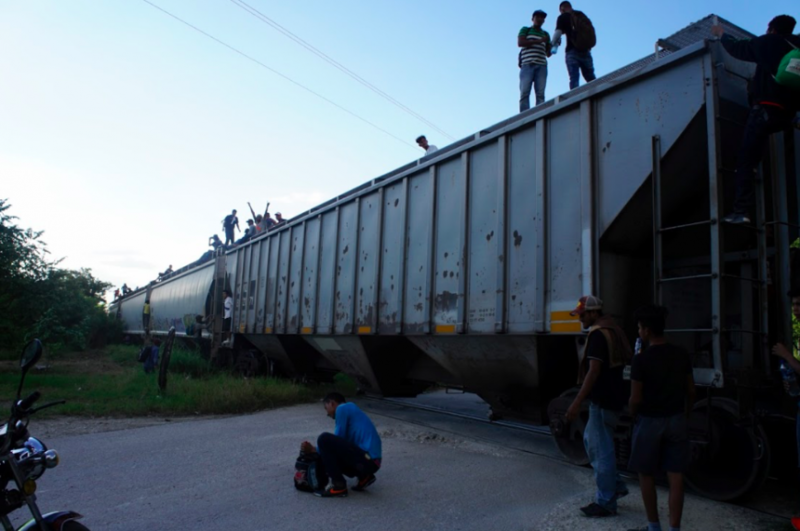 In the U.S. media, the migrant caravan is described as dangerous. In the experience of CWB clowns, that’s simply not true. The migrant caravan, like caravans throughout time, is a group of people joining together in search of a better life. 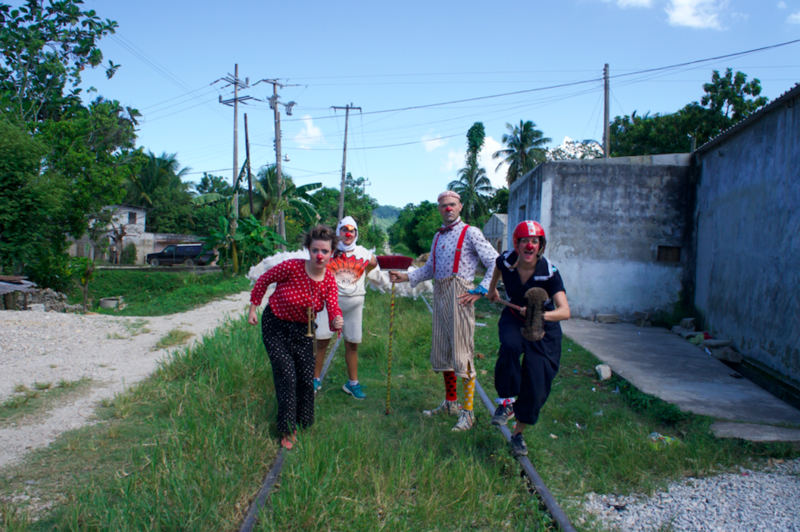 Derrick Gilday, an artist currently on tour in Mexico, writes about a beautiful moment in which the clowns performed for a migrant community, and then saw the same people a few days later, further north. “We saw people from all three locations that we had performed at, along the way, and we began sharing blessings, smiles and memories as if we had known each other for many years. The energy was incredibly intense, beautiful and life-changing.” When people gather for a CWB – USA performance, relative strangers come together, playing, singing, and dancing. Shouldn’t everyone have that opportunity?